Los Angeles DUI laws are strict when it comes to driving under the influence of marijuana. More and more states, in fact, are struggling to define and enforce similar laws. Case in point: in 2014, Ross Township, Pennsylvania, police pulled over Pittsburgh Steelers’ running back, Le’Veon Bell, and charged him with driving under the influence of marijuana. Authorities say they found 20 grams of marijuana in the vehicle. Le’Veon Bell – and others in the vehicle – claimed collective possession of the drug. Instead of a conviction, the state placed Bell in an alternative program with the potential to dismiss the charges. Bell must successfully complete 15 months of probation, a 2-month license suspension, and an Accelerated Rehabilitative Disposition program. This agreement is available to first time offenders in Pennsylvania, and Bell must submit to a drug and alcohol evaluation, pay all court fees, and enroll in DUI driving school. Former teammate LeGarrette Blount, riding in the passenger seat at the time of Bell’s traffic stop, accepted a plea bargain, which included 50 community service hours completed before a mandated deadline. 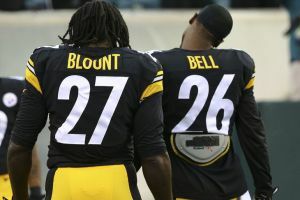 The state already dropped Blount’s charges; however, Bell will face the full extent of the law if he fails to complete the terms set forth in the alternative sentencing program. Alternative sentencing programs allow the state to drop charges and provide first-time offenders with a second chance. Many states have similar programs; however, alternative sentencing for first-time offenders is not an option in California under current law. First time offenders in California may face probation, license suspension, fines and court fees, a mandatory 48 hours in jail, and other penalties. However, proving marijuana intoxication is difficult because, to do so, prosecutors must rely on blood and urine tests. Prosecuting attorneys are responsible for showing that a person drove under the influence of an illegal or prescription substance, and DUI defense attorneys understand how to pursue a case that takes all evidence into consideration. Secure the services of a qualified Los Angeles DUI defense attorney to protect your rights. Contact Michael Kraut of the Kraut Law Group to set up your free consultation.